A classic British roadster is the ultimate way of getting your thrills, and Triumph TR3 is one of the prime examples of this sort of car. Despite a cute appearance, the car is one of the more sophisticated sports cars of its era. With multiple racing victories in the 50s and 60s, these cars retain a steady fan base and are still raced in competitions around the world. Introduced in 1955, the TR3 was an evolution of the previous Triumph TR2. It was a logical decision from the manufacturer, as the TR2 had proven itself both in racing and on public roads. TR3 shares the overall body shape and 1991 cc engine with its predecessor. The motor puts out a bit under 100 bhp in the newer car, it may not seem much these days, but the journalist from “Car and Driver” called the acceleration of the lightweight TR3 “neck-snapping”. In fact, at the time, TR3 was more powerful than the majority of its competitors, including cars like Porsche 356 or Sunbeam Alpine. 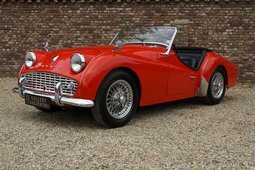 But the engine was not the only aspect where this tiny sports car excelled – the TR3 was the first production car to be fitted with disc brakes. After testing this innovation in 1955 24 Heures du Mans, Triumph introduced it to TR3 buyers in 1956. This cutting edge technology was available in a reasonably priced sports car. TR3 cost around USD 2,600 back in the day, which would be approximately USD 23,000 today. Pricing wise, think of it as Mazda MX-5 or Toyota GT86 of the yesteryear. 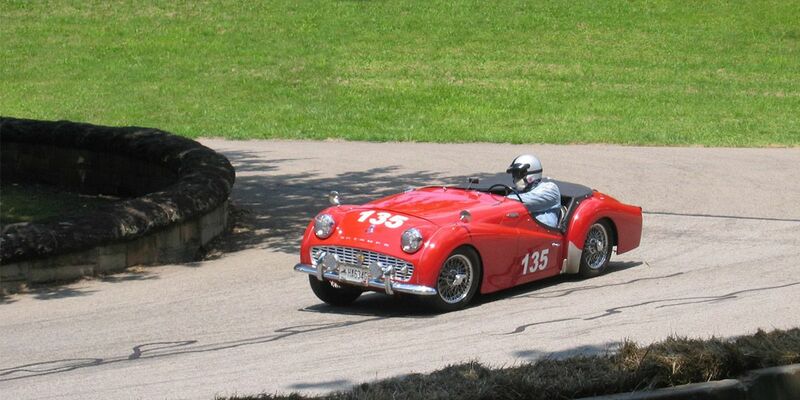 TR3 succeeded in achieving numerous racing victories in its class between 1955 and 1959. Most notable performances were winning Liège-Rome-Liège rallies in 1956 and 12 Hours of Sebring in 1957. The car has proven capable on both gravel and tarmac. With relatively low price and high production numbers, around 75,000 were built, they have always been a popular choice for a racing enthusiast. In fact, many TR3s are raced in vintage racing series these days as well. 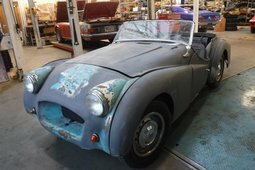 TR3 is a roadster in its very essence – the car is meant to be driven on sunny days with the top down. While it does have a folding roof, it has no side windows. As a result, the driver has to fit curtain-like contraptions on the sides, which still let the elements in. While there are hardtops and solid side shields on offer, none of them ensure proper protection of the occupants. In exchange for these shortcomings, the car offers a stunning silhouette with the roof down – low slung doors and swooping lines make up an impressive profile of the car. 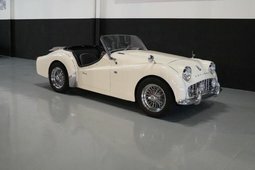 The model was updated twice during its lifespan, with TR3A, produced from 1957, and TR3B, which was only made in 1962, the last year for this car. Officially, all of the cars were called TR3. After the first face-lift the car featured an upgraded engine on the inside and bigger grille, along with some other changes, on the outside. 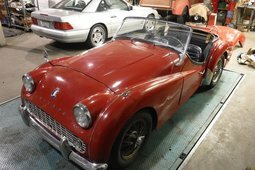 TR3A was the most popular iteration of the car, with almost 58,000 of them produced. 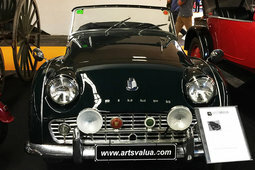 TR3B was made alongside its successor, Triumph TR4 which debuted in 1961, as the company worried the customers might not like the drastic changes that came with the new model and stop buying their cars. 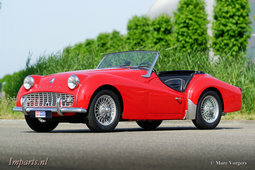 Externally, TR3B did not differ much from the previous car, but it offered an option of TR4-derived 2.2-liter engine. There are plenty of TR3s to choose from, but one in good condition will set you back at least EUR 20,000. 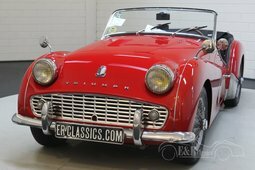 Pre-1957 cars are quite rare, thus their value is a tad higher, making the popular TR3A perhaps the most rational choice for an enthusiast.